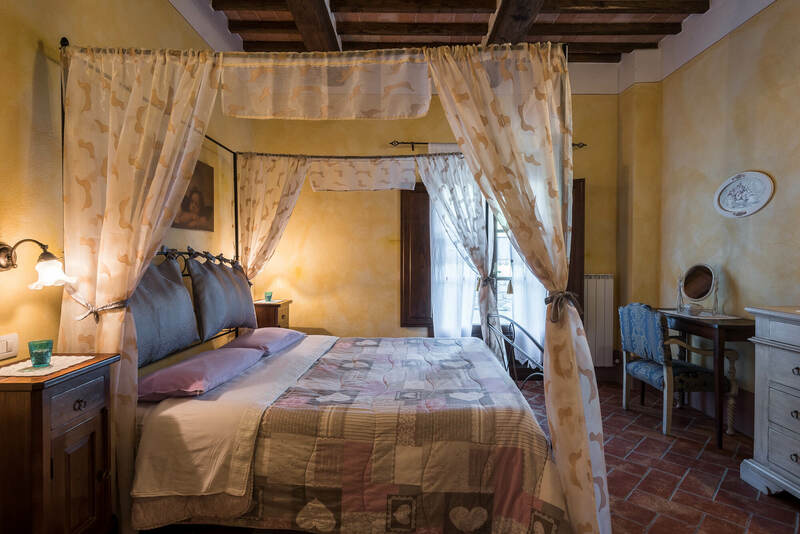 The Palazzi del Papa farmhouse was built in the thirties by the Marquis Origo replacing an old inn where the Eminences used to rest when they were going through the nearby Francigena road. 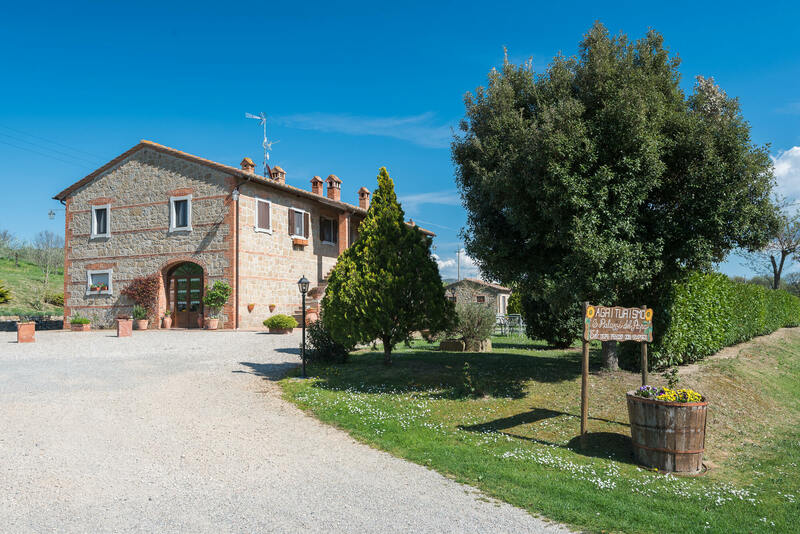 The Villa stands in the centre of the natural reserve of Lucciola Bella and it is now a property of the Nardi Enzo Estate. 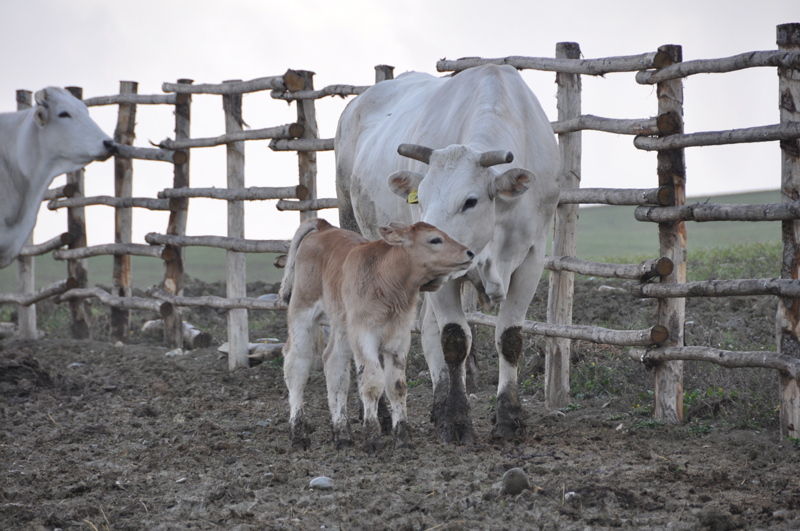 Nowadays, the Company owns 100 ha cultivated with cereals and wheat which is mainly used for the Chianina-breeding. This activity is, among others, the most important one. 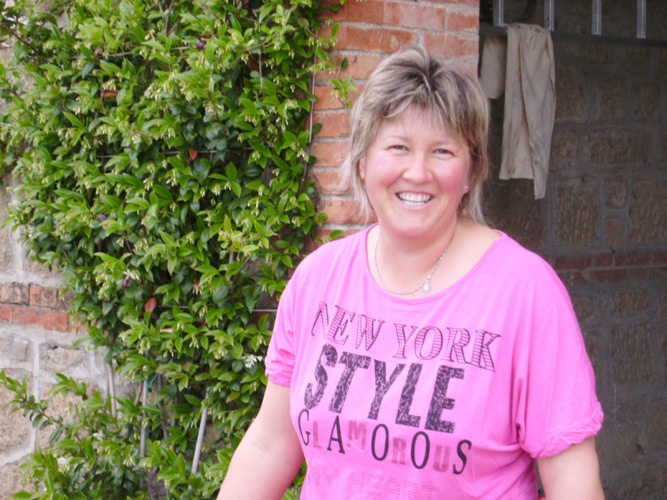 From the vineyards a wonderful red DOC Orcia wine is produced. Of course, it is available to be tasted for all our kind guests. 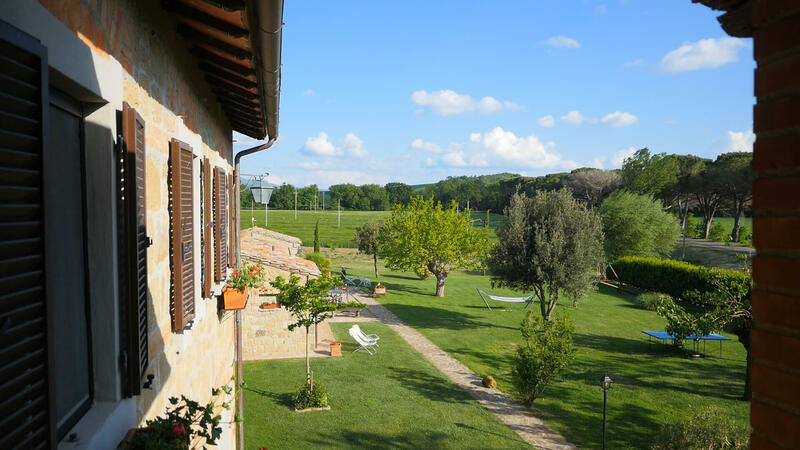 During the stay would be also possible to take a look at the breeding of the Chianina cow and at the poultry (chicken, ducks and rabbits). 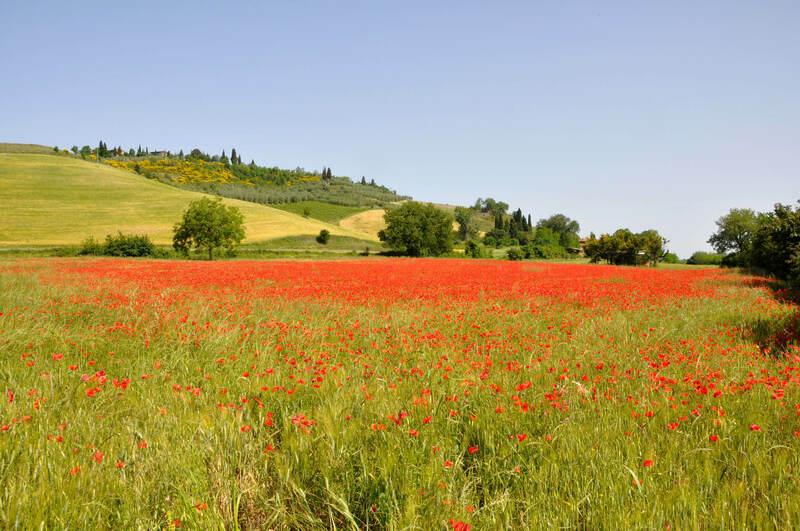 Right near our farm near Pienza – between the end of the first millennium and the beginning of the second – the Francigena road assumed an increasing importance for the practice of the pilgrimage. The holy places of Christianity were Jerusalem, Santiago de Compostela and Rome, and the Via Francigena right here represented the central hub of the great ways of faith. 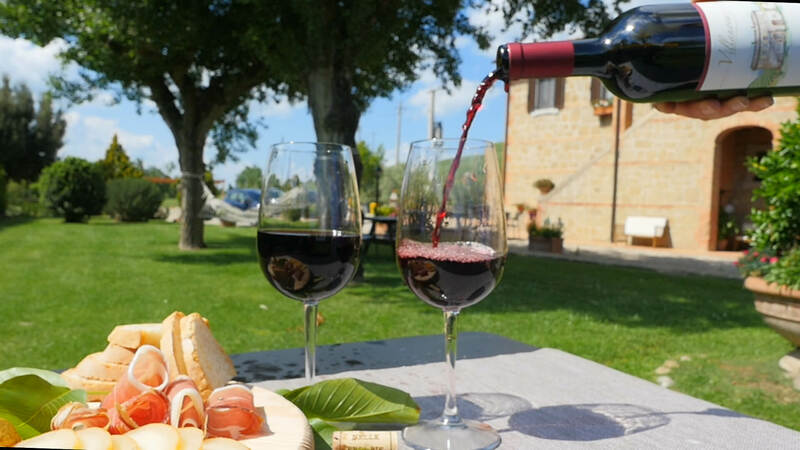 To visit the Val d’Orcia today means to immerse yourself in a portion of paradise where the rolling hills in their alternation form one of the most fascinating portions of green in Tuscany. 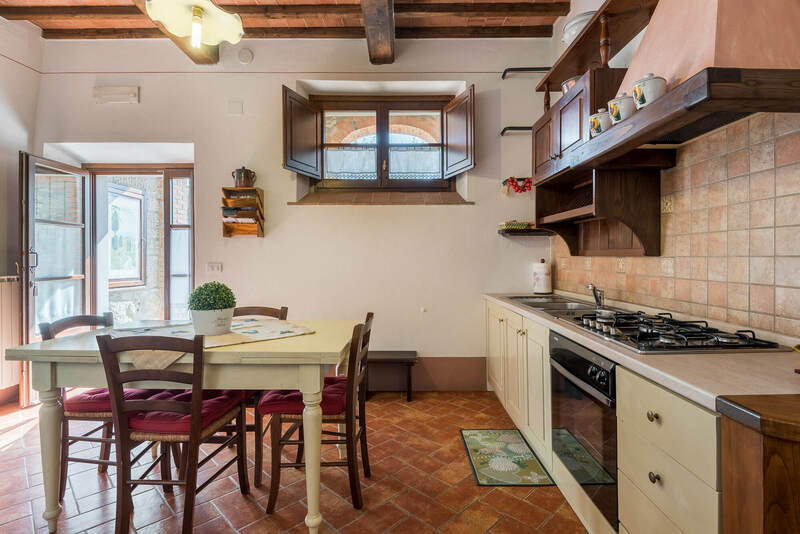 Precisely in this uncontaminated setting and surrounded by greenery crossed by the river Orcia, characterized by pleasant landscapes and various medieval centers, is located the farmhouse, built in the 30s by the Marquis Origo. 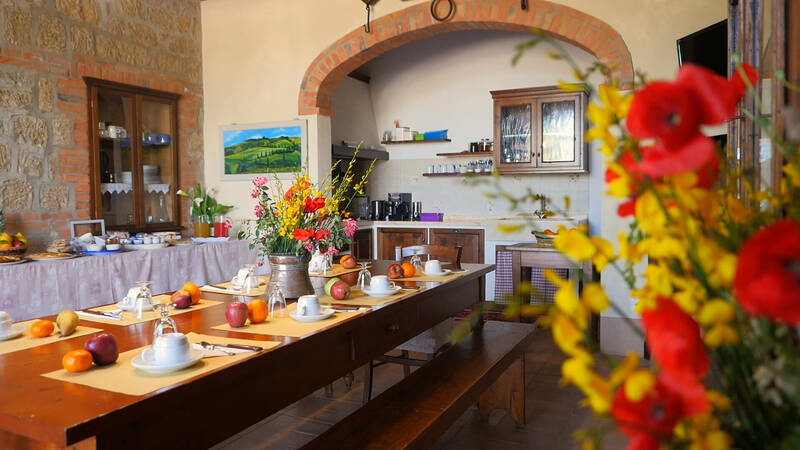 The Podere ‘Palazzi del Papa’ is to Pienza, plunged therefore in the magic Val d’Orcia and, at the same time, not far from the fertile Valdichiana, famous territories since the Romans time for the production of oil, wine and wheat. 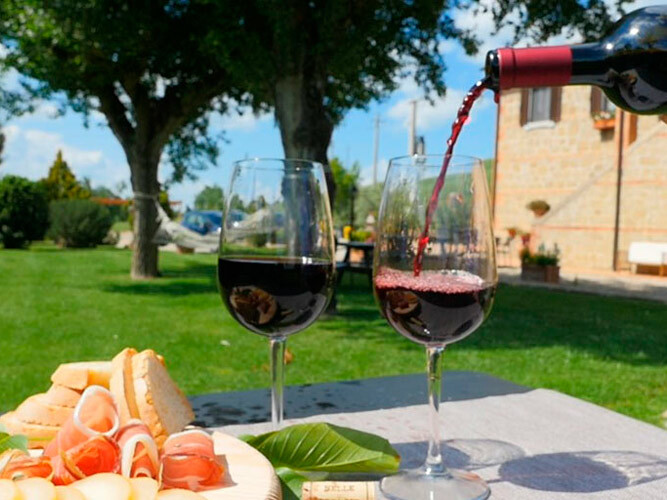 The structure offers manifold opportunities of a stay that conjugates the care of the body with excursions to cities of art, churches, museums and landscapes unchanged in the time; without, naturally, neglect the oenogastronomical culture made by our extra virgin oil, wines like the wine “Chianti”, the “Nobile di Montepulciano” and the “Brunello di Montalcino”, or food like the florentinian beefsteak and the sheep-cheese. Our facility offers its guests who also want to eat breakfast, lunch and dinner with the products of their company.